Pope Francis has shown himself to be a Pontiff of surprises, not more heart-warming than those surprise visits to people on the peripheries. Sunday, June 24, 2018, he made an unexpected visit to the cooperative for the disabled on the outskirts of Rome, Durante e Dopo di Noi. Casa OSA. The center is part of the “Dopo di Noi” foundation that provides assistance to the disabled and their families. The organization serves some 50,000 people across Italy. 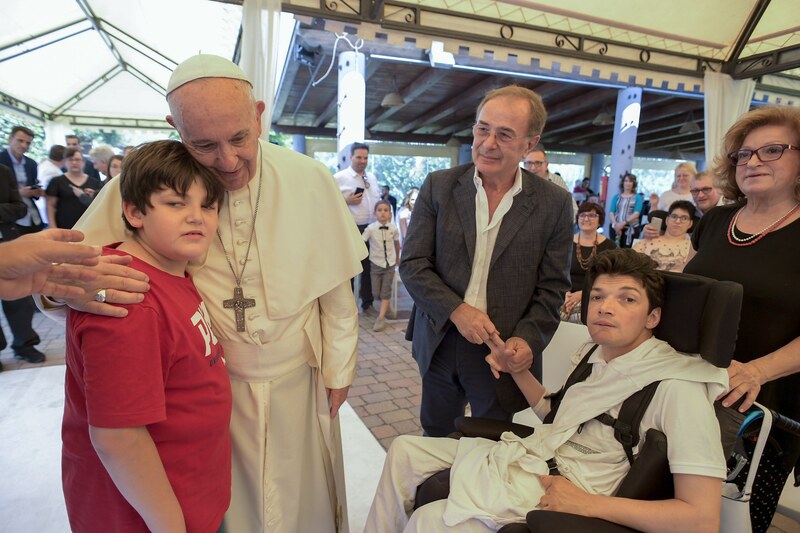 The Holy Father not only spoke to the gathering of 200 disabled persons but greeted each one personally. There are reports of much joyful laughter and many hugs. Pope to Educators: Do Not Lose Hope!